Prepare to feel welcomed. The Kenyan people treated me and my cousin, Yael, like friends. 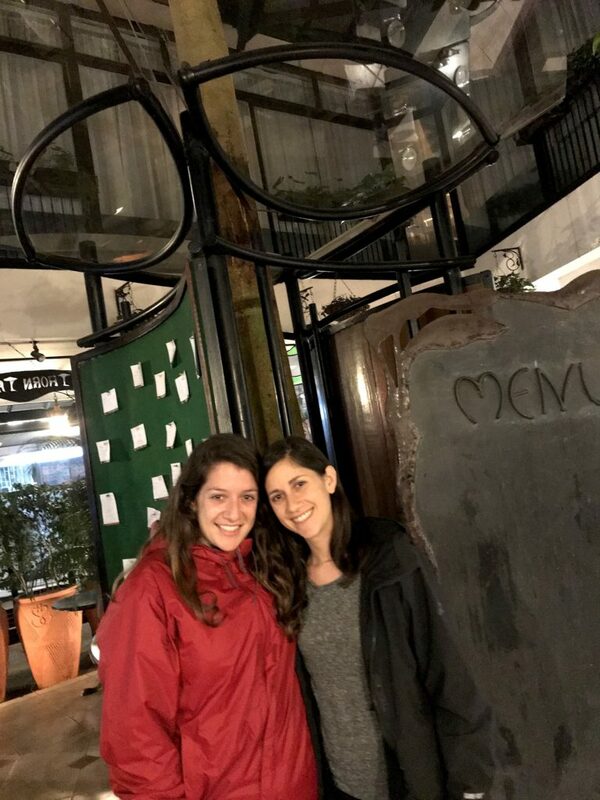 From plugging us into their Wi-Fi hotspot to helping us get an Uber to connecting us with their favorite driver to sharing insider tips on haggling, we were surrounded by kindness. 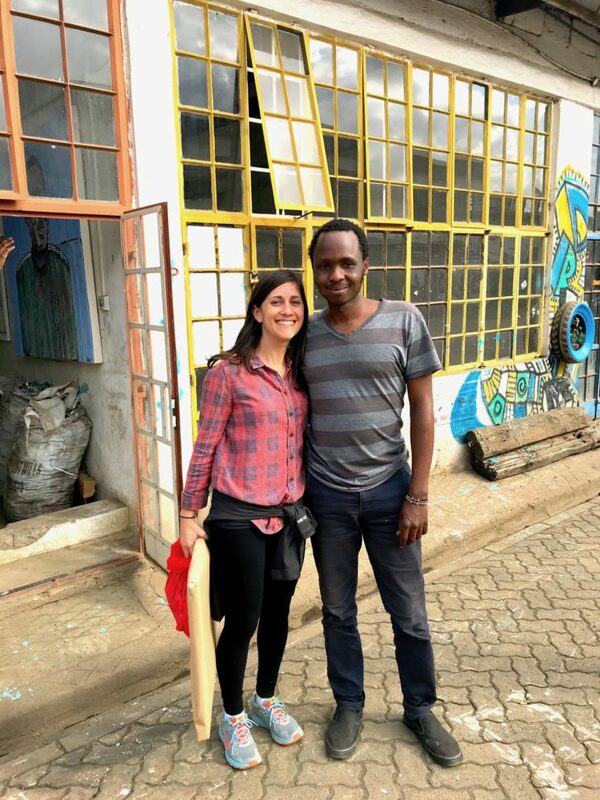 Artists, students, drivers, AirBnB entrepreneurs—the Kenyans we met were some of the most hard working, friendly and creative individuals. A simple “Jambo” (hello in Swahili) and a smile goes a long way in Kenya. You’ll most likely be greeted with a friendly attitude, especially when you get lost trying to find the Go-Down Arts Center (see #3). 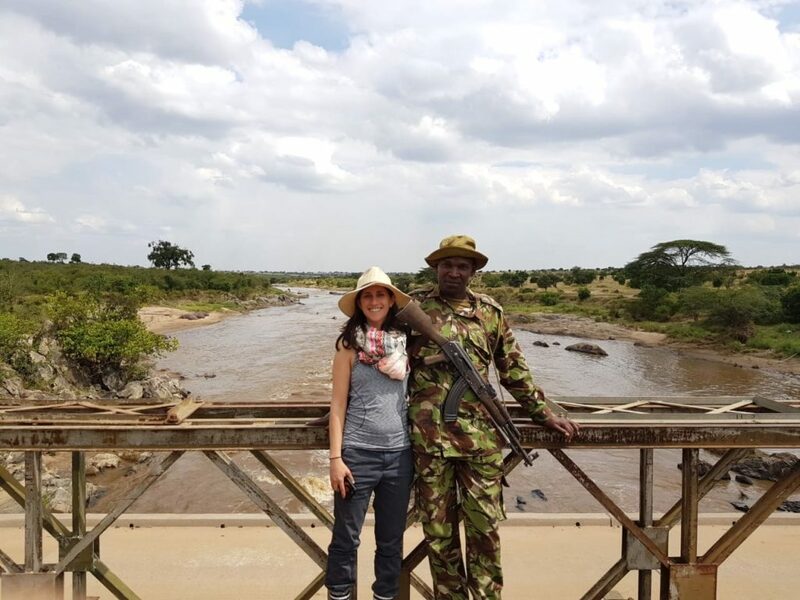 From the cosmopolitan city of Nairobi to the rural villages near Maasai Mara National Reserve, you’ll never run out of things to see and do on your Kenya trip. There’s a lot of history to learn, too, and you’ll sense the widespread pride that the Kenyan people have for the culture. 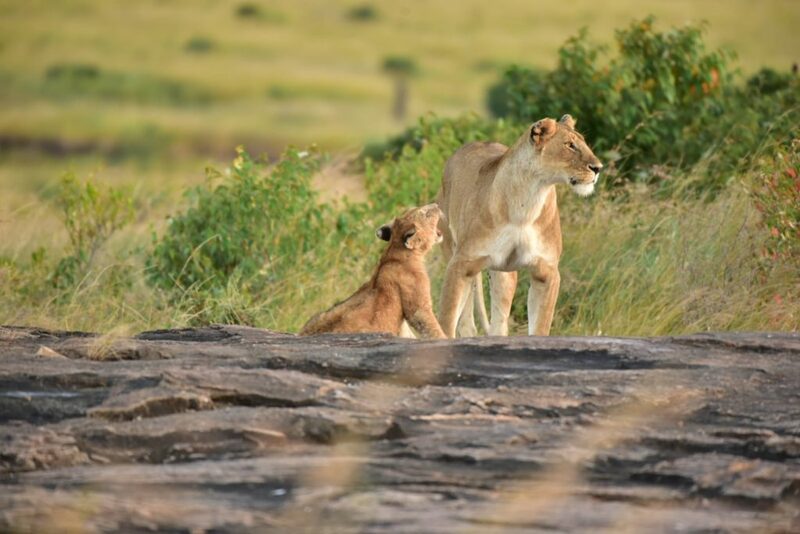 As you plan your Kenya travels, remember to stay curious. Soak in a bit of the language, ask for help and don’t forget to say “Asante” (thank you in Swahili). 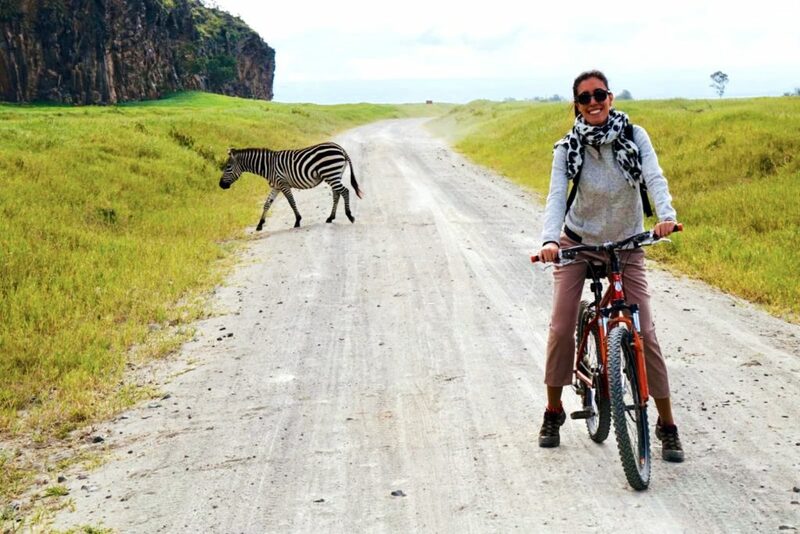 Check out the top 10 things to do in Kenya from exploring Nairobi to planning a safari. Walk downtown to learn about Nairobi. While the Best Western Plus Meridian Hotel may seem basic to us Americans, its central location, reasonable prices and full breakfast spread—omelet bar, fresh fruit and local hot dishes—made the hotel an ideal fit. Most importantly, their front desk staff provided top-notch customer service, especially when it came to tracking down my lost luggage. 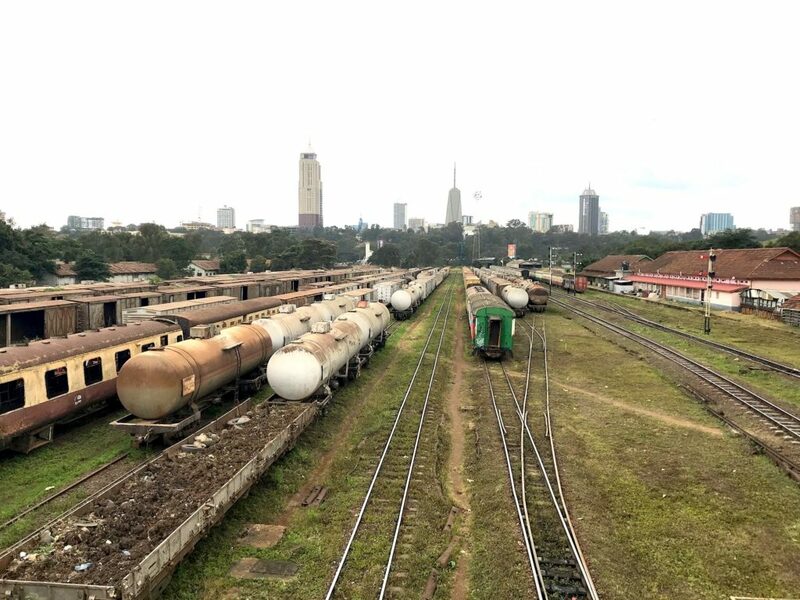 In Nairobi, just like most cities, it’s smart to explore in the daylight. Be aware as a tourist and don’t flash your wealth. While it’s a cosmopolitan city with people on the go, it’s not a city with iPhones and smart-watches galore. You don’t want to become a target for pickpocketing. 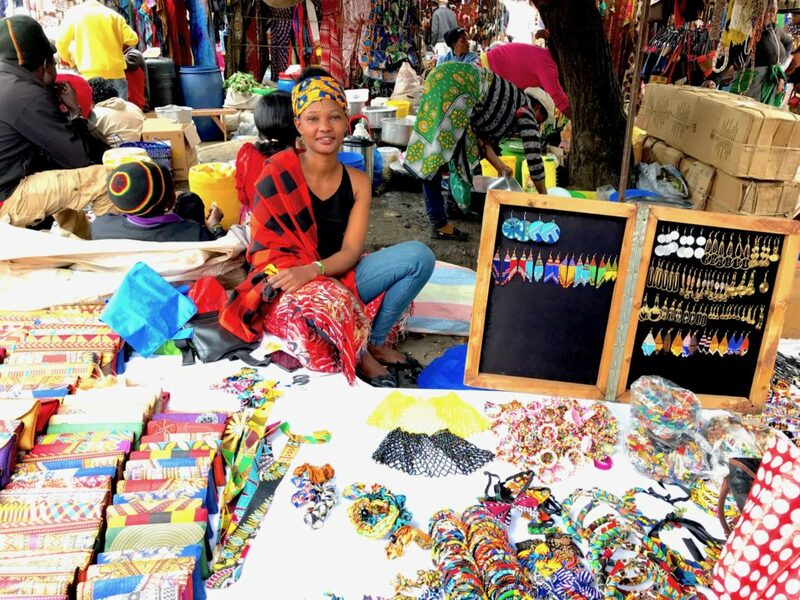 The Maasai Market changes locations daily. Find the one nearest to you to explore dozens of small shops filled with crafts. There we met a 27-year-old jewelry designer who sold handmade fabric bangles and headbands, which made for perfect gifts for friends. We negotiated like the locals after familiarizing ourselves with the exchange rate. It helps to carry small bills ($1s and $5s) for the markets in either Kenya shillings or U.S. dollars. 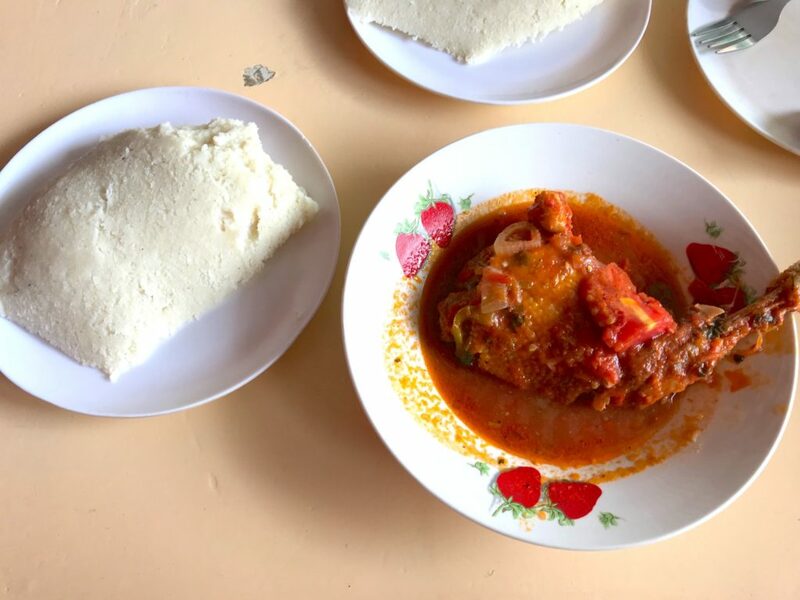 While exploring the city by foot, look for local dives—we ordered a fantastic stewed chicken dish for only $2. At the hotels, you can rely on fancier food. But expect the prices there to hike up closer to U.S. prices. Step into the heart of the local artist community at the Go-Down Arts Centre. It’s a challenge to find by foot and we got a little lost near the train museum. Look out for the large red-painted entrance doors. Studio after studio, walk in and witness each artist’s current works on display. You’ll even see some artists at work on a new creation. Best of all, you can purchase artwork directly from the artist. I went home with a beautiful elephant painting. Look for dance performances on the Go-Down Arts Centre calendar for a lively experience. But if you catch them on a calm day, you’ll get the chance to connect with the artists. 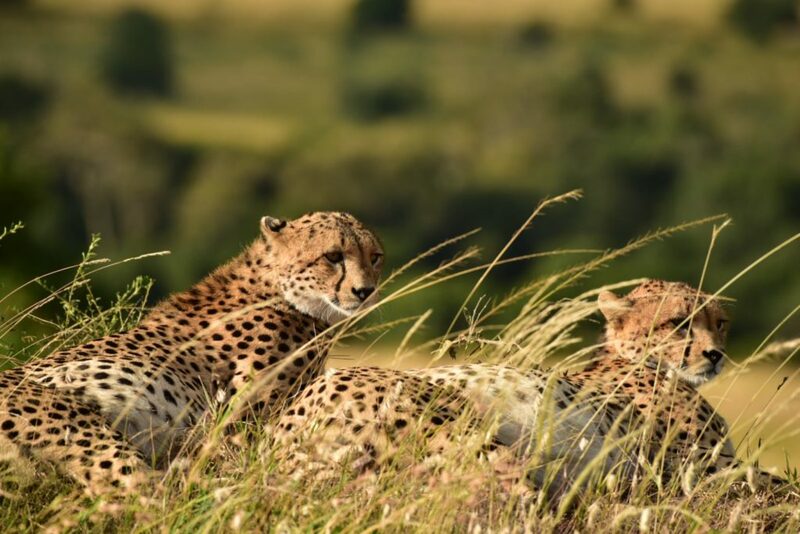 We highly recommend spending at least three days on a Safari in The Maasai Mara. 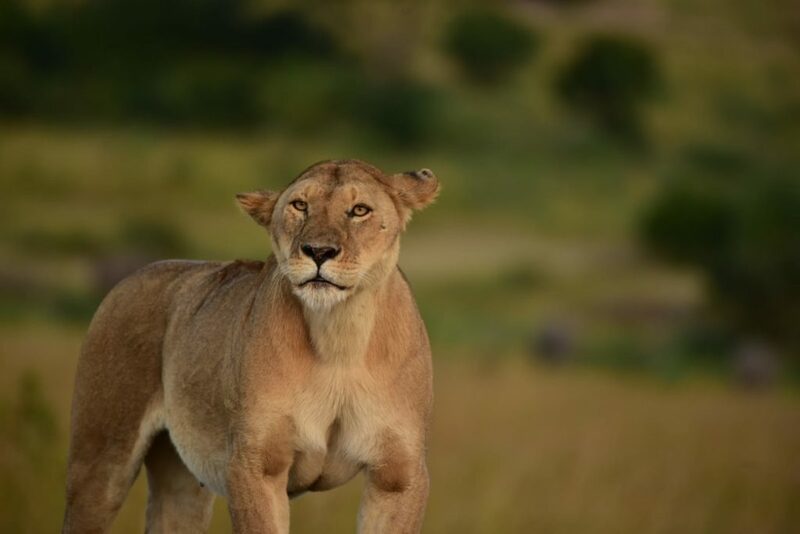 Sharing a boarder with the Serengeti National Park in Tanzania, The Mara is known for its cats—lions, leopards and cheetahs. And if your timing is right, you may even experience the annual migration of the wildebeest, zebra and gazelle. We caught a bit of this action and even saw National Geographic photographers waiting for the main event. Yes, you can go to the nearby Nairobi National Park instead, especially if you have limited time, and take a guided tour to see the animals. 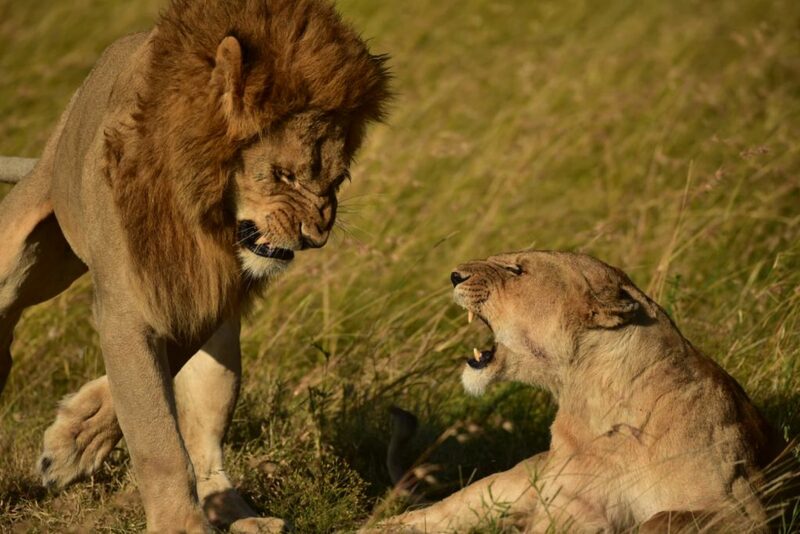 But for a more authentic safari experience, and even more wild animals, head to The Mara. 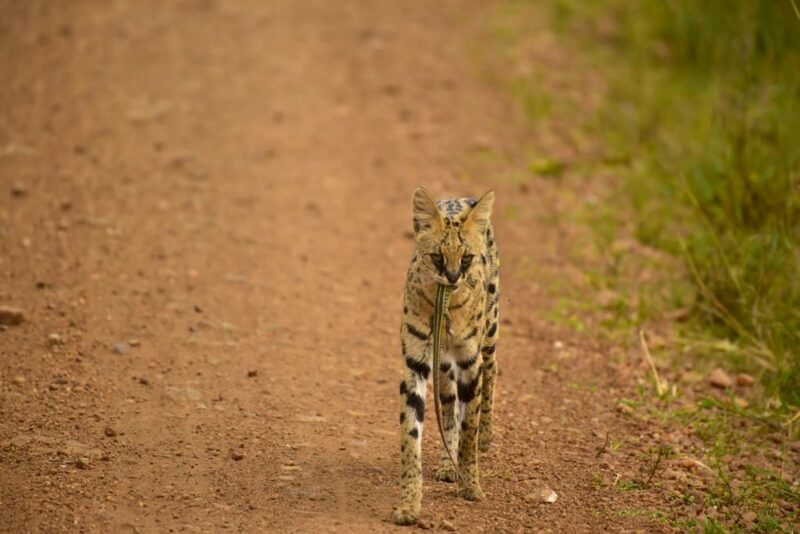 Warning: This trip is a 4–5 hour van ride from Nairobi, with at least 45 minutes trekking down a bumpy unpaved road. 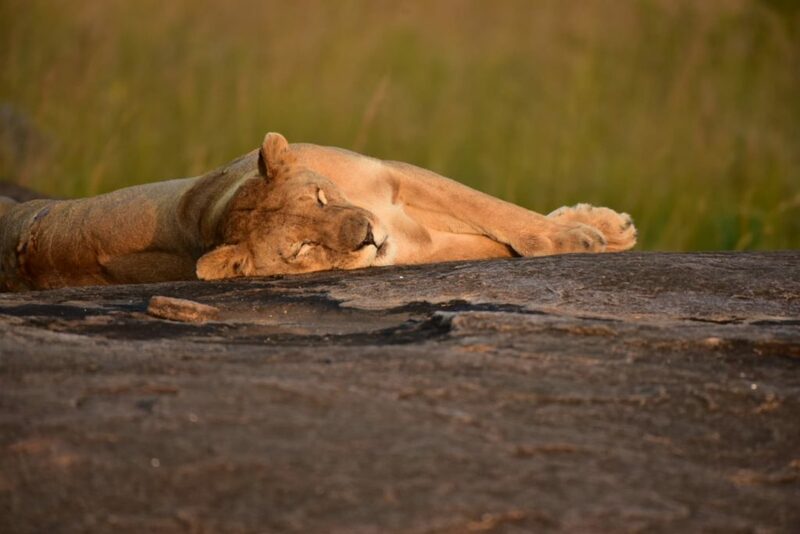 But it’s worth it as soon as you drive into the park and witness a lion pride resting on a rock with cubs. We went with East Africa Safari Expeditions (EASE) for our trip, which offered a three-day tented experience and included all our meals. 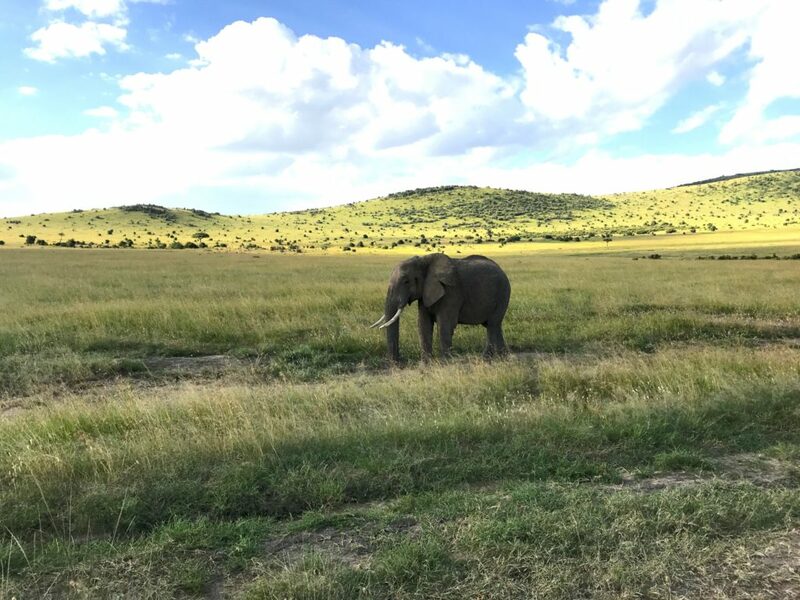 The price was exceptional for the once-in-a-lifetime opportunity to see lions, hippos, zebras, cheetahs, elephants and giraffes in the wild up close. 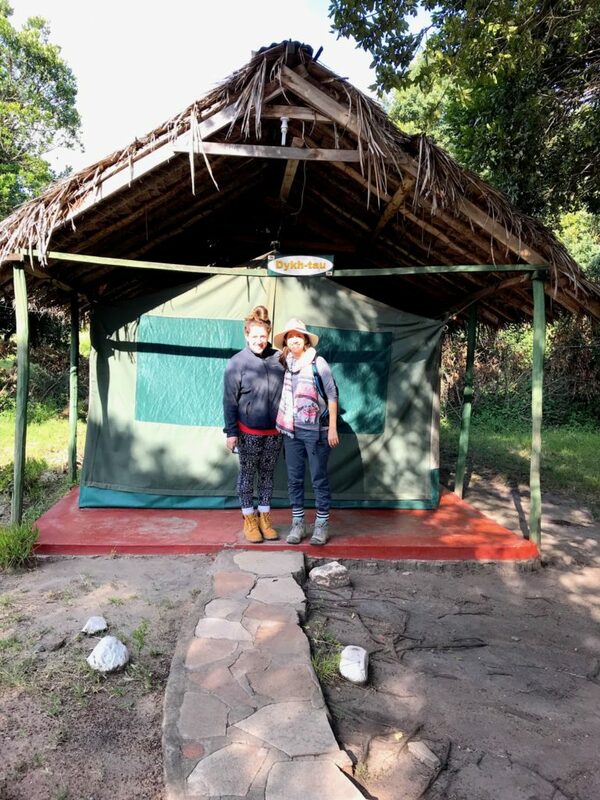 We didn’t totally rough it on our safari camping adventure…in other words, we weren’t pitching our own tents. We camped at the Mara Sidai Camp (organized through EASE) which had large stable tents on top of concrete bases with beds inside. 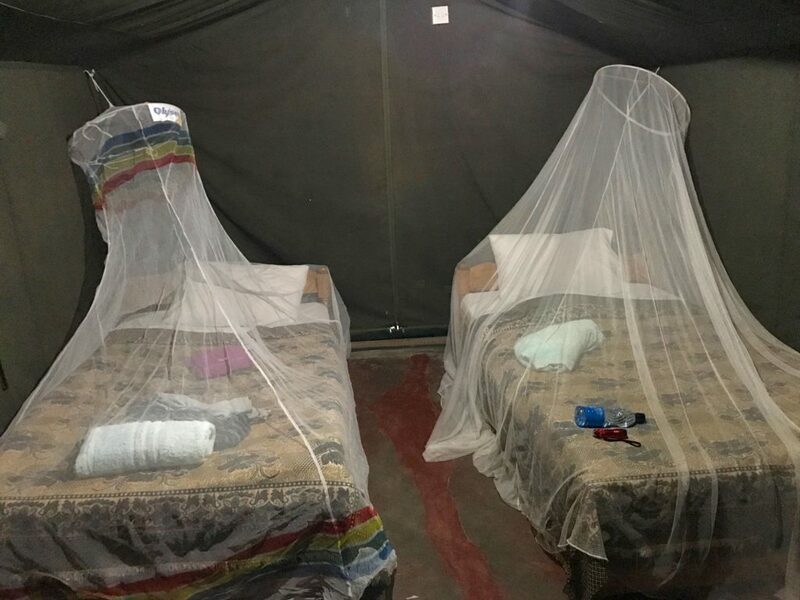 Each bed featured its own mosquito net and a bathroom attached for more of a “glamping” experience. The camp provided delicious warm meals and a lovely tea time. 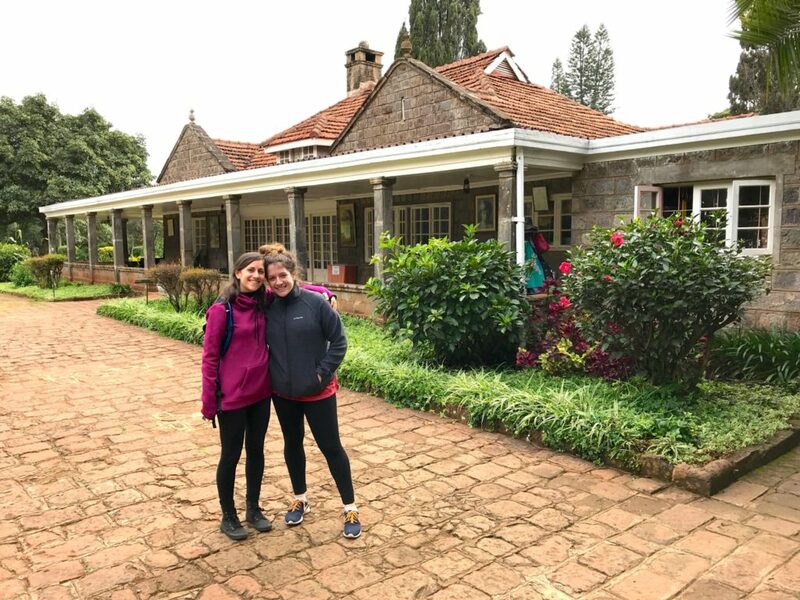 The staff provided a welcoming experience and they even held a bonfire at night with the Maasai guards to share stories of their history and culture. 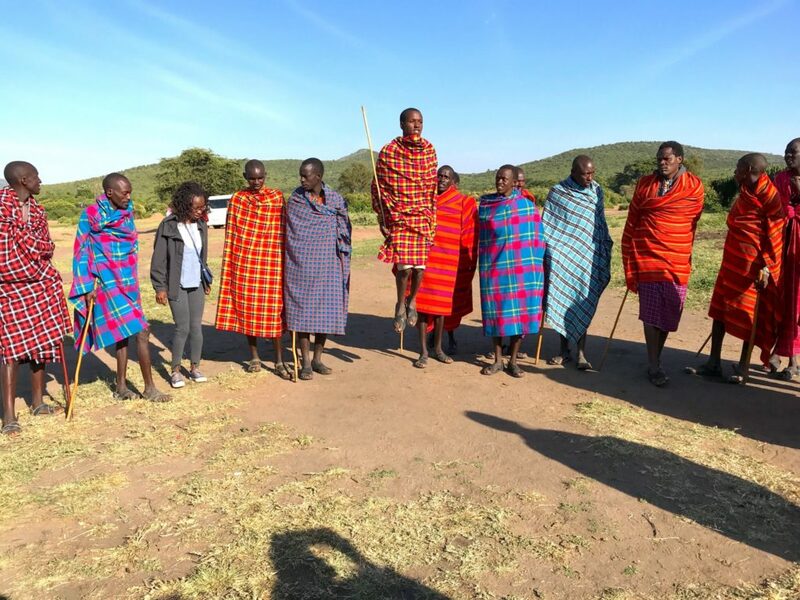 The Maasai tribe gives tours of their handmade huts and community. The tribe does not use electricity or any modern tools. It’s like stepping into a National Geographic special as you watch the tribe’s men perform a ritual dance with high jumps. 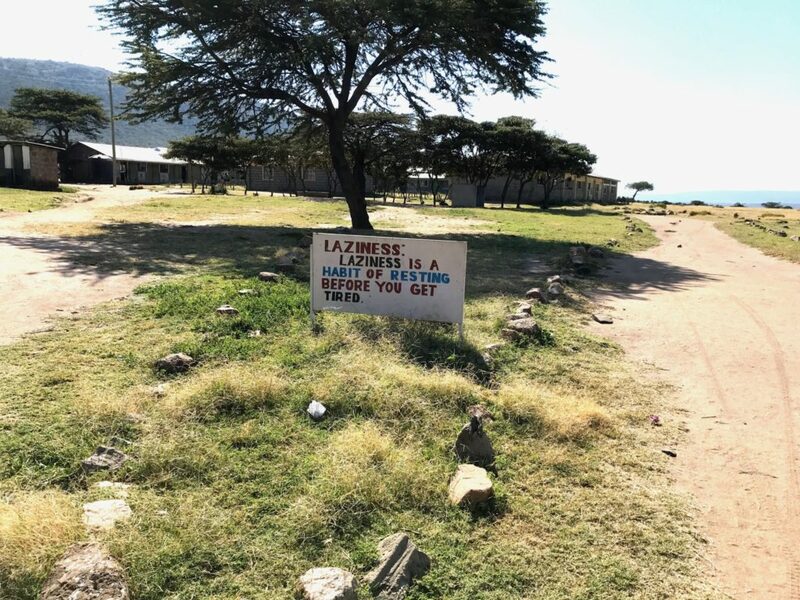 They live off their cattle and continue traditions like sending their teenage boys to survive in the woods for months on their own and hunt a lion before undergoing a ritual circumcision. 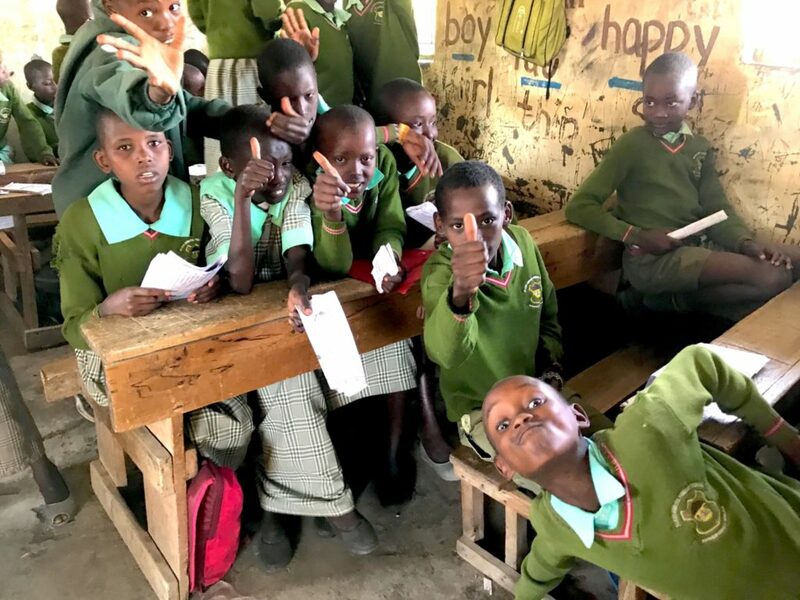 While the tribe has progressed to embrace education, even for its little girls, you can see the divide of the mindset between its younger educated generation and the elders who lead the village. We visited the community school for both children and the village and locals. 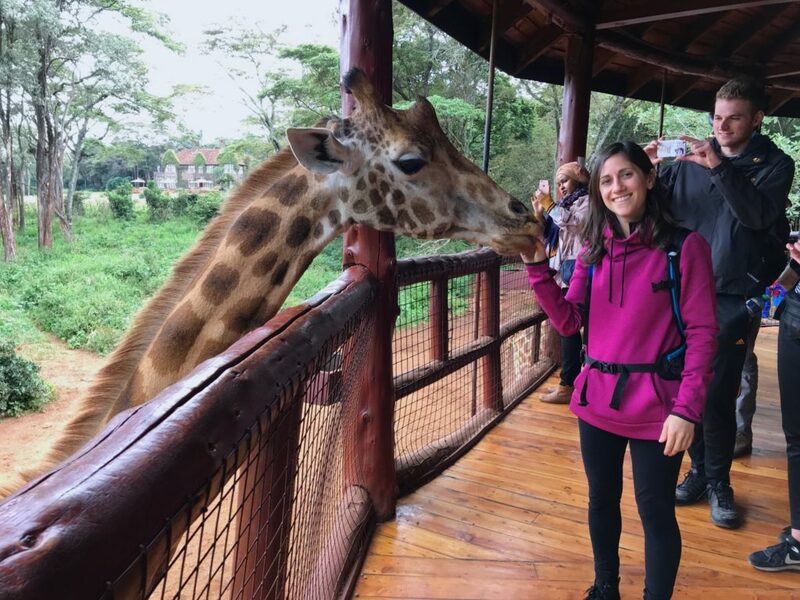 The children were eager to meet us and ask us questions about our lives in the U.S.
Get up close and personal with giraffes at the Giraffe Centre, only a 20-minute drive from downtown Nairobi. We stood stand inside an elevated tree house and fed the giraffes little vitamin pellets, which they see as special treats. 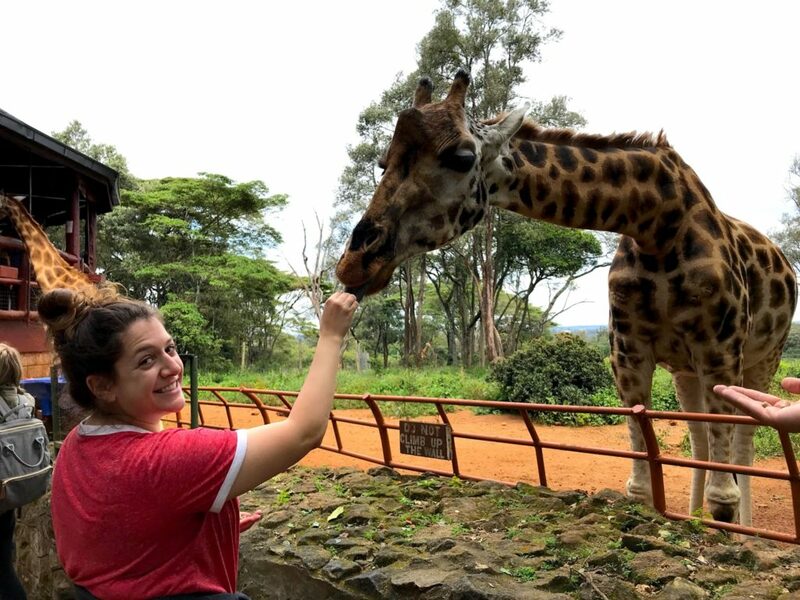 The giraffes even give “kisses” to bold tourists willing to feed them by mouth. It’s pretty exciting to connect with such graceful and peaceful animals. At the Giraffe center, they also educate you on their mission and the daily habits of the giraffes. 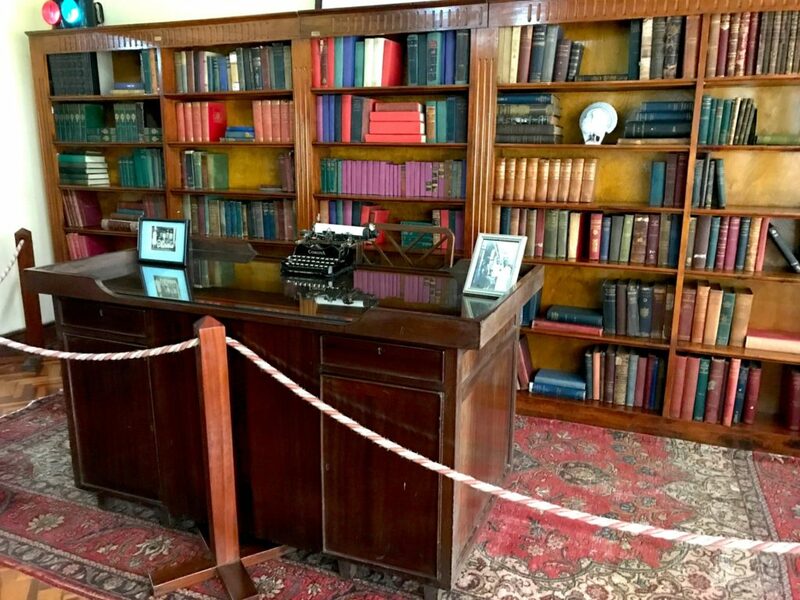 After the Giraffe Centre, head to the Karen Blixen museum. Take a tour of Karen Blixen’s house and estate, donated by the Danish government as a independence gift to Kenya in 1964. 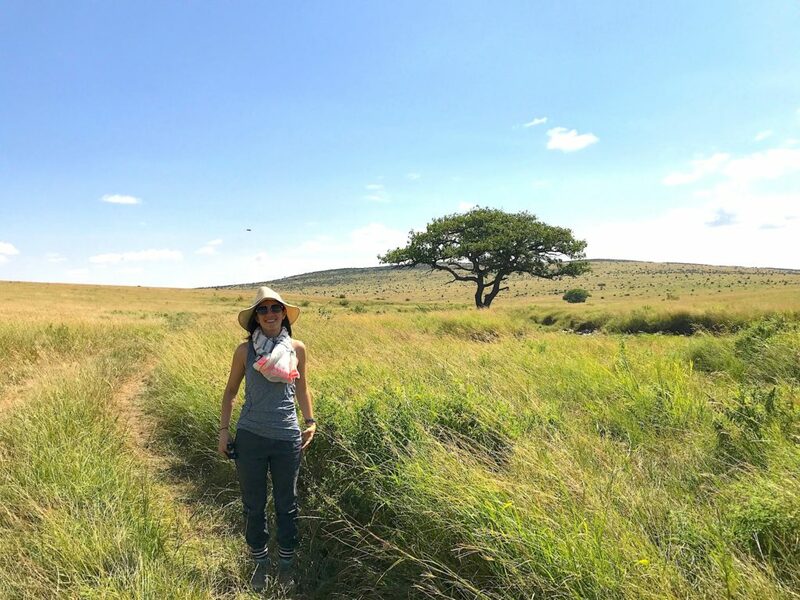 You’ll learn about Blixen, the famous author of Out of Africa, and her life on the estate running a coffee plantation. Then head to the Karen Blixen Coffee Garden Restaurant nearby for a fantastic and relaxing lunch outdoors. Get the fillet steak—you can thank me later! Full disclosure: We didn’t have enough time to make it to Lake Nivasha, about a two-hour drive outside of Nairobi. But our friends we met from Majorca went and loved it. 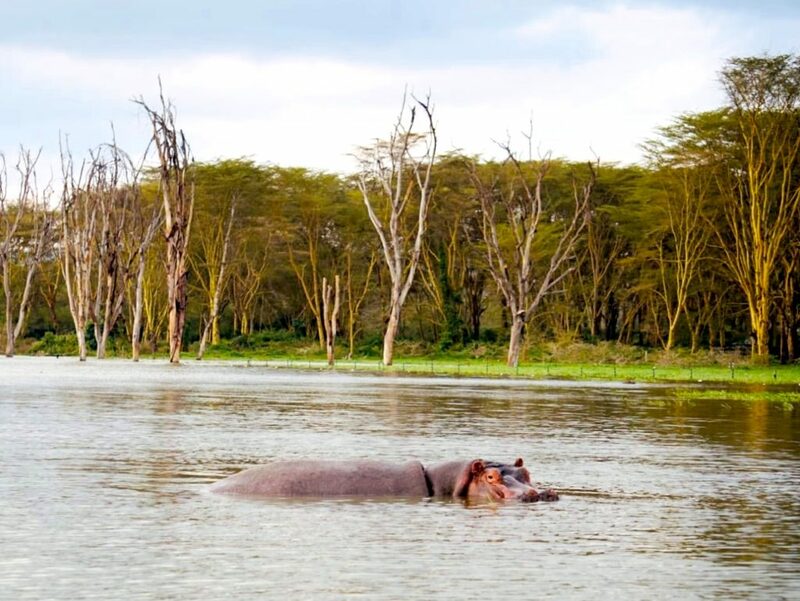 Lake Naivasha is a freshwater lake part of the Great Rift Valley and home to hundreds of bird species and hippos. They biked around the lake and enjoyed the beautiful outdoors as zebras grazed nearby. Tourists dating back to Hemingway’s time (yes, Hemingway ate here) would meet up at Thorn Tree Café in The Stanley Hotel Nairobi. 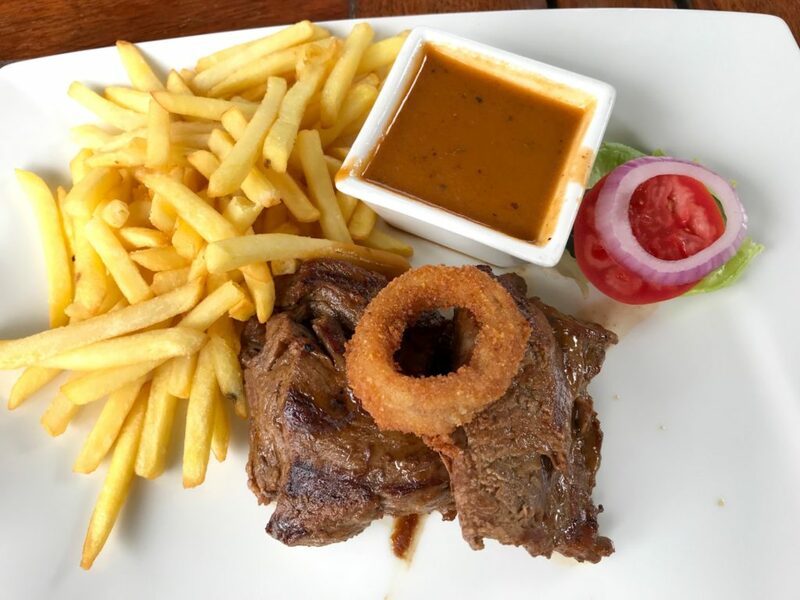 It’s a beautiful restaurant with lovely outside seating and an extensive menu—everything from sandwiches to lamb shank entrees to decadent desserts. Notorious for its tree in the middle of the restaurant, now a second generation Thorn Tree, the café plays a special role in Nairobi’s history. International travelers would meet up or stop to leave messages for friends on the tree. You can still leave a note there to this day.